A whole lot of big time spice comes out of one tiny village in New Mexico. The town of Hatch (population ~1,600) and the Hatch Valley region are home to some of the most coveted chili peppers on the market. Known as Hatch peppers, these chilies are more than a single type. In fact, there’s a wide selection of sub-varieties that fall under the title of “Hatch chilies” which gives Hatch peppers a wide swing on the Scoville scale. 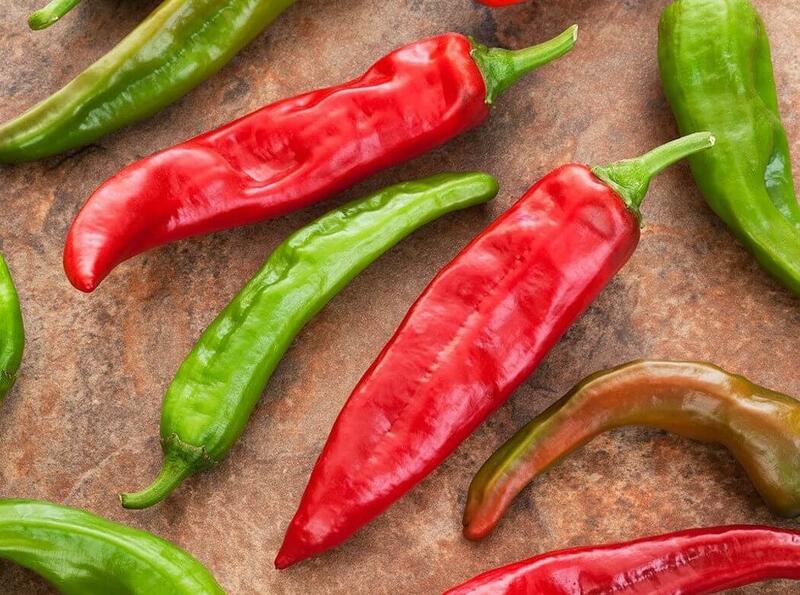 Hatch peppers are definitely a chilihead’s chili – their limited availability and unique flavor, along with the rich history and culture surrounding them, makes Hatch peppers a coveted gem on the pepper scale. The answer to that is different than any other type of chili pepper on the market. 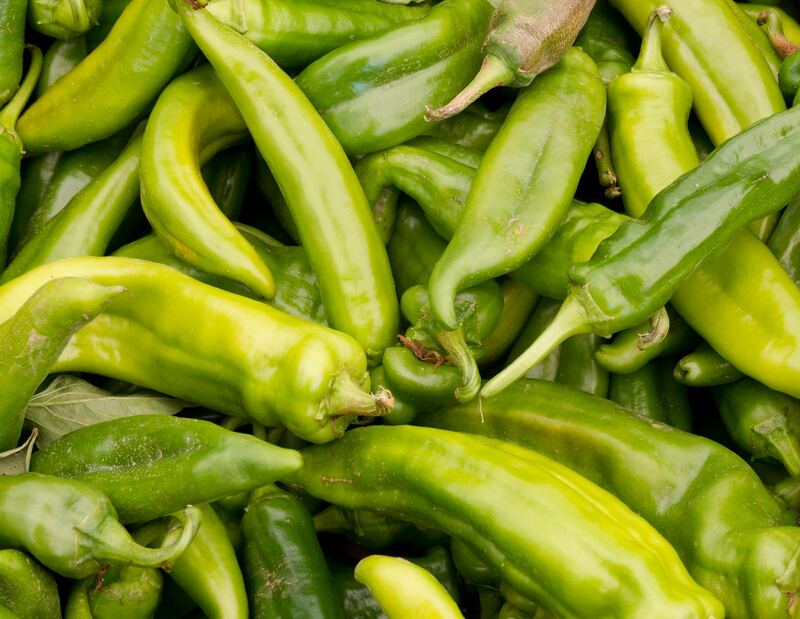 Hatch chilies is the name for varieties of New Mexico peppers that are grown specifically in the Hatch Valley region. These are chili strains that have been cultivated and cross-bred for well over a century by New Mexico State University. This generic “Hatch” name then covers a lot of pepper sizes. These are long peppers, but you can see lengths from 4 to 6 inches all the way up to over a foot in length. The young peppers start green in color and mature into a red hue. The shape and colors of Hatch chilies are very similar to its cousin, the Anaheim pepper which was first grown in California from a Hatch pepper strain. How hot are Hatch chilies? Due to the many variants among Hatch chilies, there’s a wide span they cover on the Scoville scale. Some are mild with heat levels similar to the Anaheim or poblano pepper (around 1,000 – 1,500 Scoville heat units); others can meet the heat of a serrano (8,000+ SHU). The mediums are near equal heat to a jalapeño pepper, somewhere in the 2,000 – 4,000 SHU range. The taste is something of legend. People swear by the unique flavor of Hatch chilies – they have a significant following among spicy food fans. The Hatch pepper has an earthier flavor than similar chilies, like the Anaheim. This comes from the mountainous area and rich soil from which they are grown. When roasted, Hatch chilies take on a buttery-like flavor which is well-loved. In fact, the buttery smoky smell and taste of roasting Hatch chilies is something that people come far and wide to experience. Hatch chilies can be eaten raw, but due to their thick skin, meaty walls and short growing season (we’ll get into that), they are often roasted. Plus due to their size, they make excellent stuffing peppers. 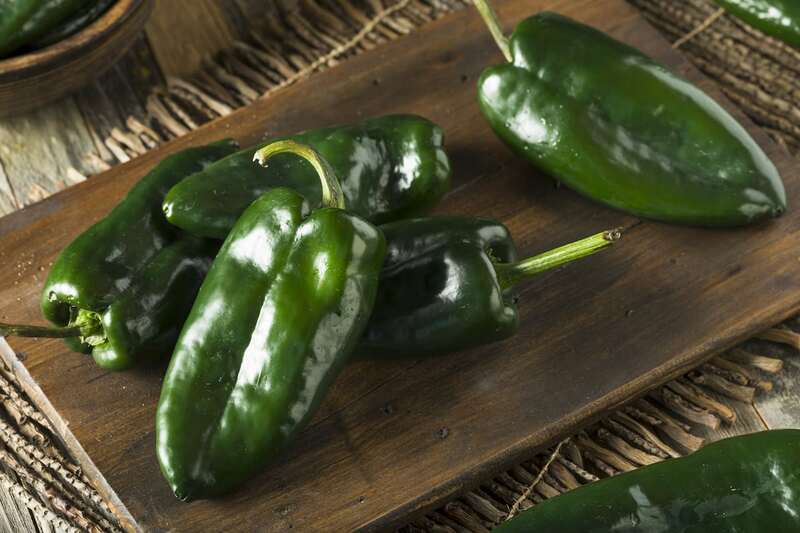 They are a great option for chili rellenos. 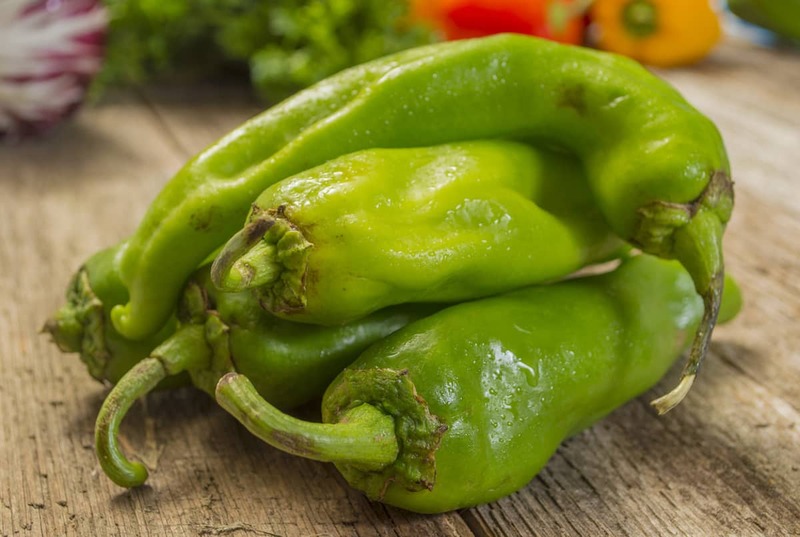 Where can you find Hatch peppers? Now this is another major piece of the mystique surrounding this chili. Hatch peppers have a very short cultivation season – about six weeks covering late August and September every year. That’s one of the reasons why roasting is so often done with these peppers. People roast them to then freeze them for use throughout the year. The town of Hatch has one of the top chili festivals each year celebrating Hatch chili season. The Hatch Valley Chile Festival is held in Hatch season and includes cook-offs and a whole lot of Hatch roasting. It used to be the case that fresh Hatch chilies were near impossible to find outside of the New Mexico region, but high-end grocers like Whole Foods have changed that. You can find Hatch chilies throughout the U.S., though expect them to be in short supply with a very quick window of availability. You can also find canned and powdered Hatch peppers, throughout the year in stores and via online retailers. You will find some chili peppers sold throughout the year that are labeled “Hatch peppers”, but unless they were grown in the Hatch Valley, these are not technically the same thing. They won’t quite have the same smokiness or butteriness that the rich soil and mountainous temperatures provide. Hatch peppers are like champagne in this way – everything else is sparkling wine.